In the highly specialized field of performance boats, few individuals could match the level of experience and knowledge of Greg Shoemaker. Gaining valuable hands-on boat building experience, Greg spent his early years in the marine business working for Southern California’s leading performance boat manufacturer, Eliminator Boats. From this position his reputation quickly grew as one of the best boat riggers in the business. Already an avid boater and water skier Greg entered the sport of drag boat racing in 1974. 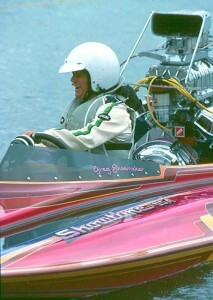 As the first factory driver for Eliminator Boats, race victories and records soon came his way. In 1979, Shoemaker left Eliminator and established his own performance marine shop. Drawing on hard, yet proven results from countless hours of jet boat racing and technology, G.S. Marine established themselves as the number one source for the performance powerboat enthusiast. Performing various custom installations and improvements for racers and pleasure boaters alike, G.S. Marine also worked closely with the founding jet pump manufacture, Berkeley Pumps. Word of Shoemakers’ skills within the performance fraternity traveled as his achievements were published in many National boat and marine publications. 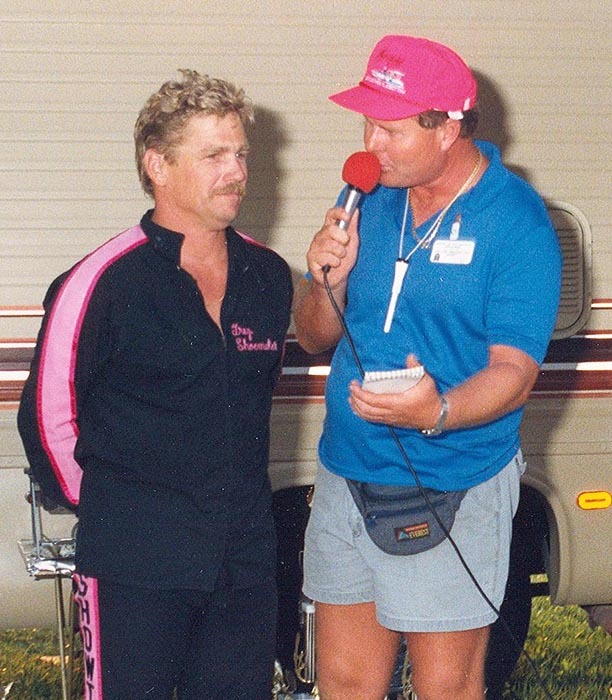 By the mid-1980s, Greg was traveling to New Zealand and Australia for special performance boat projects of professional racers in the two countries. Greg Shoemaker and long-time race partner Norm Grimes purchased Kurtis Kraft Boats in 1990 and began building the world famous hydroplanes exclusively for quarter-mile drag boat racers. A two-time International Hot Boat Association (IHBA) title winner, Shoemaker is also a former IHBA blown gas hydro record holder. One of his crowning achievements in motor sports was capturing Driver of the Year with the IHBA. He has worked on television for National sports network, ESPN and has a monthly column in Hot Boat Magazine.